Carl Czerny was an Austrian pianist, composer and teacher. He is best remembered today for his books of études for the piano. 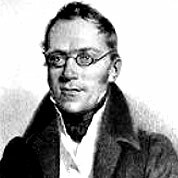 Czerny’s music was profoundly influenced by his teachers, Muzio Clementi, Johann Nepomuk Hummel, Antonio Salieri and Ludwig van Beethoven. Romantic. Etude. Key of e. 4/4 Time Signature. 2 pages. 22 measures. Taken from Czerny for Guitar by David Patterson. 1) If necessary, feel free to study only a few lines or even a few measures at a time. There’s no need to take on the whole study at first. Avoid overworking your hand. 2) Speed is the last thing on your to-do list with this one. Play it slowly, concentrating on details such as smooth shiftingm inonantion, and exchange of fingers. Speed will develop on its own over time (a long time). 3) Keep an eye on your left wrist. Only bring it out as much as you need to accommodate certain shapes. Don’t over extend it. 4) To aid you in developing your ear, try working with a chromatic tuner. It can be helpful to have the visual support when you first begin this work. Play each note in the octave shape and see which one is out of tune. Then adjust it with your finger. Eventually, you will learn to adjust notes within a chord or key. Remember that one note can vary significantly in pitch depending on its function within a chord or key. For example, a B as the leading tone in the key of C is sharper than a B as the major third in the key of G.
5) Be careful not to use too much pressure in the left hand. A lighter touch will help you conserve energy and will be better for intonation, shifting, and finger exchange. 6) Playing the study as written with octaves played together is the most difficult for the left hand. Playing the study in broken octaves is a bit easier, so feel free to start working on it with different right hand variations.